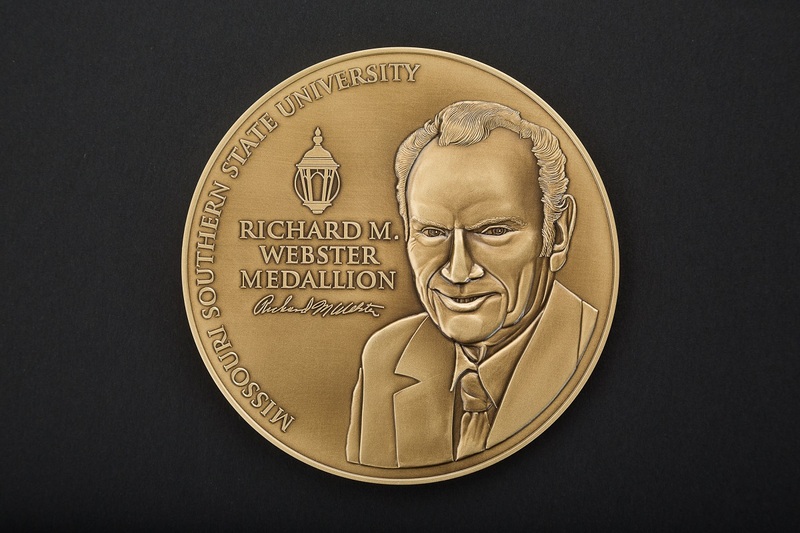 Missouri Senator Ron Richard will be honored with the inaugural Richard M. Webster Medallion at 1 p.m. Tuesday, Nov. 15, in Webster Hall’s Corley Auditorium at Missouri Southern. Missouri Southern Executive Vice President Brad Hodson said Sen. Richard was selected for the new honor, which will be awarded each fall, for his tireless work in advocating support for higher education in Missouri. Sen. Richard, who currently serves as president pro tem of the Missouri Senate, was first elected to the House of Representatives in 2002, and was chosen as speaker of the House in 2008. In 2010, he was elected to the Senate and selected as majority floor leader in 2012. He is the first person in Missouri history to serve as both speaker of the House and president pro tem of the Senate. The medallion is named for the late Richard M. Webster, who was elected in 1948 to Missouri’s House of Representatives – and named Speaker of the House in 1954. He later served as a Missouri State Senator from 1962 until his death in 1990. As a young senator, he played a significant role in transforming Joplin Junior College into a four-year school by sponsoring legislation that created Missouri Southern, and later to secure its funding from the House and Senate. Dedicated in his honor, the Richard M. Webster Communications and Social Science Building was opened in August 1992. The Richard M. Webster Medallion will be awarded annually to a legislator in recognition of their outstanding service to higher education in the state of Missouri.